This shirt does not show what zombie bait or a zombie lure would look like. 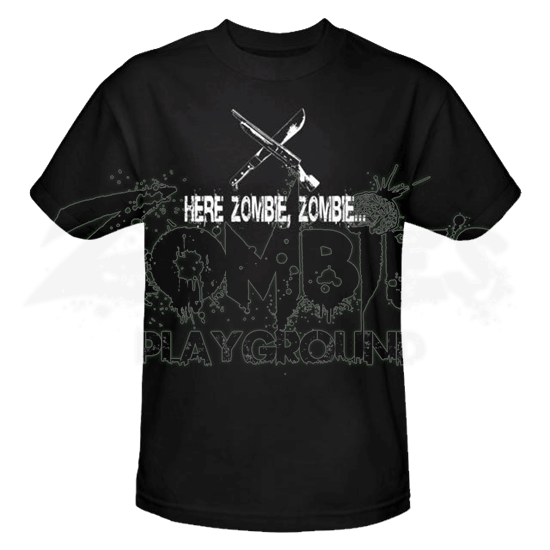 Instead, the Zombie Lure T-Shirt simply shows what a brave, bored survivor might decide to do with their time, given a loaded shotgun, a machete, and an excess of zombies. This black t-shirt is made from comfortable materials and features simple white lettering, leaving it blessedly uncluttered and rather straight-forward. Crossed over the chest of the shirt are a classic machete and a shotgun, both of which happen to be classic zombie killing weapons. Beneath the two weapons are the words Here Zombie, Here , which might be the call you could hear from a bored survivor or zombie hunter as they seek to either vent their frustrations, alleviate boredom, or just thin the zombie heard. This shirt features a standard fit and is made from quality 100% cotton. 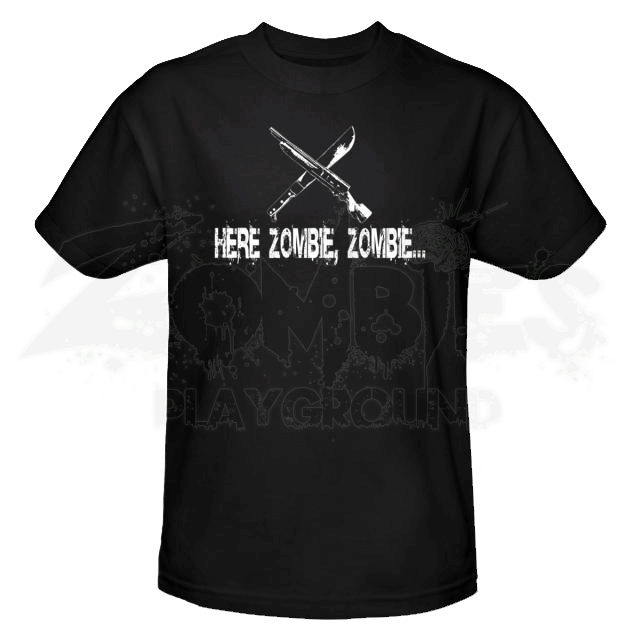 If you are looking for a simple, yet comfortable shirt to wear that tells the world how you would deal with a zombie if you ever met one, then the Zombie Lure T-Shirt is exactly the shirt you have been looking for.